INTRODUCTION CCLS, a privately owned language school, offers a unique and successful approach to language learning which focuses on interactive multimedia. Language students worldwide have participated in and benefited from our English programs. CCLS’ senior management personnel are proud members of NAFSA (Association of International Educators) and TESOL (Teachers of English to Speakers of Other Languages). CCLS is also authorized under American Federal Law to enroll nonimmigrant alien students (student visa F-1). CCLS has been in business since 1993. COURSE STRUCTURE CCLS’ unique interactive multimedia method emphasizes student participation in class. English is the only language spoken in class, so students notice immediate improvement in their language skills. All our teachers are qualified professionals, carefully trained in our methodology. 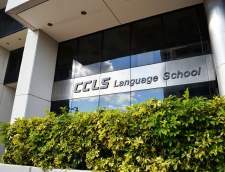 CCLS students have free access to our Language Lab and enjoy unlimited after-class activities that will help them improve their writing, listening, and speaking skills. CERTIFICATION CCLS issues Certificates of Completion to the students who take and complete their course of study successfully. Our Zoni Premium Intensive & Semi-Intensive English offer an approach to language instruction which integrates four key skills: speaking, listening, reading and writing. Specific courses under these programs also include the incorporation of pronunciation, vocabulary building and conversation activities using grammar in context. Extra-curricular academic activities such as field trips and film showings are provided to enhance and reinforce English proficiency outside the classroom. With a choice of schedules, students can build class time around their own interests. "Ik verwacht meer van de school die u me aanbevolen"
"De ervaring voldaan mijn expectaion "
In het voorjaar van 2011 hebben we onze deuren geopend in Miami Beach. Net als bij de andere Sol-scholen bieden we een compleet scala aan Engelse programma's naast Teacher Training en all-inclusive Junior-programma's. Natuurlijk, omdat we bekend staan ​​om de meest levendige en leuke scholen in het bedrijf, kun je er zeker van zijn dat onze school in Miami een ongeëvenaarde plek is! OHC Miami is gevestigd in een historisch gebouw dat werd gebouwd in de jaren 1920, tijdens het Art Deco-tijdperk. 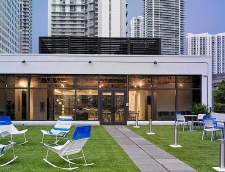 Het gebouw is prachtig opnieuw ontworpen en is het perfecte huis voor OHC Miami. Slechts enkele minuten van het winkelgebied Ocean Drive en 450 meter van het wereldberoemde South Beach en de Atlantische Oceaan! 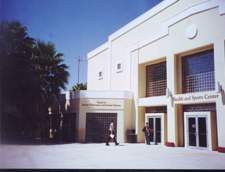 As general information, OHLA runs one of the largest ESL programs in the Miami area. Our school can accommodate over 350 students and for those students pursuing University and Exam Preparation courses, OHLA dedicates a Graduate Studies Center, fully equipped with smart boards for an interactive learning experience. 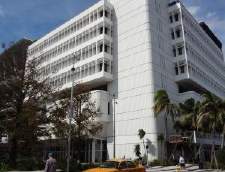 OHLA occupies the entire 18th floor of a beautiful bay view location right in the heart of Miami. With the ocean view as the front yard and the city as a back yard. Each classroom is equipped with Flat Screen TV's, computers and full WiFi access to assist our teachers in delivering innovative and interactive learning activities. OHLA has over 25 classrooms and 3 computer labs. Students at OHLA have access to swimming pools, Jacuzzi's and a gym free of charge. Students at OHLA can also register to our wellness center and enjoy yoga, aerobics and power plate’s, classes. OHLA offers a wide range of accommodation services, from host family accommodation to placement in 3 different student residence, one on campus and two off campus, just minutes away from our school. Over the years, OHLA has grown into a leader in the ESL field by guiding its international students towards the path of professional and personal growth. 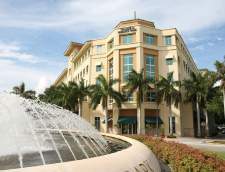 Students from over 60 nationalities become part of this institution that prides itself for its: •	Highly accredited program •	The stellar quality of its teaching staff and student services •	The wide variety of accommodation options offered (homestay and 3 student residences) •	Its incomparable facilities Come join one of the leading language schools of Miami! "Het was echt cool "
Kaplan Aspect Miami ligt in Coral Gables, dicht bij de Universiteit van Miami. De school biedt een verscheidenheid van Engelse Taalcursus/taalreizen evenals GRE en GMAT voorbereiding cursussen. Moderne faciliteiten omvatten een computerlokaal met gratis internetverbinding, een comfortabele studeerkamer en student lounge. 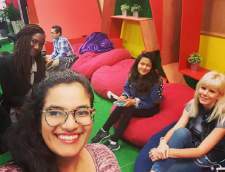 Kaplan Aspect Miami organiseert ook spannende sociale activiteiten voor studenten. Er zijn vele andere recreatieve activiteiten in Miami zoals surfen en het bezoeken van de talloze cafés, restaurants, winkels en clubs. Weekend trips naar de Bahama's of Disneyworld zijn ook mogelijkheden. Learn English & live in your private teacher's home around Miami with Home Language International! Home Language International (HLI) is a family-run business offering language courses in more than 20 languages in over 30 countries worldwide, including English lessons at an experienced private teacher's home in USA. More than 5,000 students take advantage of our services every year. Ian Josephs, Danielle Josephs, their 5 adult children and an expert team of dedicated staff all put in very long hours for HLI. You stay in an experienced teacher's family home, have one-to-one English lessons and then continue to use the language during the rest of your stay in Miami. Because you are the only student, you are guaranteed individual attention. The lessons are completely designed for you, so the teacher will focus exactly on what you need. Mealtime conversation, television and social contacts are all in English. All of our teachers in USA have a university degree (or equivalent) and/or a recognised teaching certificate. All teachers have been visited by one of our local organisers. Their qualifications have been checked and their homes throughly inspected. During your stay in Miami, a local organiser will monitor your progress and make sure your experience is both happy and successful. Home Language International (HLI) is accredited by the Accreditation Body for Language Services (ABLS), Association of Language Travel Organisations (ALTO), and UNOSEL. ELS / Miami bevindt zich op de campus van Barry University, op slechts 20 minuten van het bruisende centrum van Miami. Het gebied heeft het hele jaar door zon, blauwe oceaanwateren en witte zandstranden en staat bekend om zijn buitenactiviteiten, zoals snorkelen, jetskiën, waterskiën en varen. De populaire toeristische bestemmingen Orlando van Orlando en Key West zijn dichtbij genoeg voor weekendtrips. Our campus is integrated inside Building.co, Miami’s newest tech co-working space. We offer intensive programming & design courses in the latest web and mobile technologies and believe that the best way to learn how to code is by actually coding. You can choose between our Web development course which lasts 9 weeks or our UX/UI Design course which lasts 8 weeks. Our goal is to help our students achieve tangible outcomes by providing the most practical and hands-on experience. Our curriculum is constantly being revised and iterated to follow the most cutting- edge changes in the industry. We offer career services with a job placement rate of 75% in the first 3 months after graduation. Hiring Week takes place just after graduation. During this week, top- tier companies visit our campus to conduct both real & mock interviews, give coding challenges, assess performance of our students and other proactive feedback to Ironhack graduates. What sets Miami apart? A Growing Startup City Miami is one of the fastest growing startup cities in America, 2nd only to Austin, TX. At our location in Building.co, a state-of-the-art co-working space in the heart of Miami, you'll be at the epicenter of this dynamic startup city. An International Hub With the largest foreign-born population of any US city, Miami has become an international hub for tech and business. Ironhack Miami's students & staff will expose you to many of the opportunities that make Miami so unique. A Global Center for the Arts Home to the largest art fair in America (Art Basel Miami Beach), Miami has become a booming cultural hub for both the US and the World. Best of all, we're only 10 minutes away from Miami’s artistic home, Wynwood. Work hard, play hard We all know that it can’t be just work. It doesn’t matter what you’re looking for -- whether it’s world-class nightclubs, chill craft beer bars or beach parties during the day, Miami has some of the world’s best entertainment alternatives a few minutes away from our campus. Of u nu een student, zakenman of reiziger bent, er is een taalcursus in Miami wat bij u past. Er zijn talencursussen beschikbaar voor alle spreekvaardigheid niveaus, leeftijden en duur. Kies een cursustype uit onderstaande lijst om te beginnen. Algemene cursussen Engels zijn voor volwassenen die hun spreek-, luister-, lees- en schrijfvaardigheid in het Engels willen verbeteren. Meeste taalcursussen zijn voor volwassenen van 16 jaar en ouder. 2 - 48 week taalcursussen verkrijgbaar. Meeste intensieve cursussen in Miami hebben gemiddeld 30 lessen per week.